Travel Tuesdays with me and my favorite Aunt Lulu in Sydney back in March 2014. 2. Prepare 2 pcs. of recent passport size photograph, must have collar and white background. One will be attached to the application form while the other will be attached to the checklist form. 3. Download and fill up the subclass 600 (form 1419) visa application and checklist forms. Make sure to fill up all spaces. If not applicable, just write NA. I printed mine on A4 sized paper. Certified copy (notarized by a lawyer) of the biographical pages of the current passport. Yes, you don't need to include/submit your passport to the embassy. -- Just photocopy the "profile page" of your passport (the page where you have your complete details as well as passport photo) and have it notarized as certified copy. Photocopy of latest birth certificate issued by NSO. Latest copy of bank certificate/statement. Employment certificate issued by your employer. Latest Income Tax Return (BIR Form 2316). 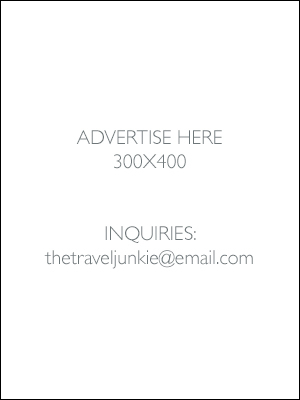 Sample itinerary of your trip to Australia. FOR DETAILED CHECKLIST, CLICK HERE. If you have questions, you may call the toll-free VFS hotline at (632) 790 4900. VFS Global is the service delivery partner of the Australian Embassy here in the Philippines. There are 3 options for application, through walk-in, lodging, or online. The service fee for walk-ins is ₱625 and can be paid by cash. If you prefer to have your documents picked up by courier (lodging) then please prepare another check worth ₱1,115 (one-way) payable to VFS Services Philippines Private Inc. Since I'm from Taguig, I directly submitted my application at the VFS Global office in Ecoplaza building, Chino Roces Ave., Makati City. Please take note that there's VFS Global in Cebu. So what can you expect upon entry? 1. Bags/cell phones are not allowed inside (they do have an area where you can deposit items for safety keeping) so I suggest you just bring all documents needed in a long brown envelope plus the ₱625 handling fee. 2. Once inside, you'll be given a number and form that you need to fill up and submit to counter number 3. Counter numbers 4-8 will be the one to check your documents so you need to wait for your name to be called. 3. Agents will double check your forms and documents so make sure they're complete. You'll be given options on how you'd like to know the result of your application. Mine was to be sent via email (it's free, no extra charge) so that I no longer need to come back the VFS Global office. If you prefer to save time then I suggest you lodge your application. Once you've gathered all supporting documents, place them inside a long brown envelope and seal with your signature. You need to call for schedule of pick-up. Couriers do not accept cash so you need to prepare another manager's check worth ₱1,740 (₱625 for handling and ₱1,115 for one-way courier fee) payable to VFS Services Philippines Private Inc. It takes 10-40 working days to process a visa application which excludes weekends and PH/AU holidays. I remember waiting almost a month for the result via email. Here's a copy of my old and new Australian visa. If you want an actual visa label on your passport, you need to add AUD70.00 for that but please be reminded it is not required. It is best to just keep a soft/hard copy of your grant notice when traveling. If self employed no need for ITR thing? You still need to present an ITR even if self employed but since I failed to file mine before the year ended (didn't work for 2013) I had no choice but to ask for my parents. I am planning to lodge an application this Saturday for the AU visa. I read in the Australian Embassy website that the NSO certificates (birth, marriage) should be delivered directly by NSO to the embassy as part of your visa application (Case Ref ID process). I got mine directly from NSO and yes you may use it together with the other required documents. Hello Czarina! This is so informative! May I ask how much show money did you prepare at the time you obtain a bank certification? Glad to be of help, Janelle! ;) Goodluck! Hi Czarina, I'm planning to go to AU embassy next week to obtain a Visa for my training in Sydney (sponsored by Company). Could you please explain the details on how did you get this document? "Certified copy (notarized by a lawyer) of the biographical pages of the current passport. Yes, you don't need to include/submit your passport to the embassy." "Certified copy (notarized by a lawyer) of the biographical pages of the current passport. Yes, you don't need to include/submit your passport to the embassy." means you just need to photocopy the first page of your passport (as in the profile page area) and have it notarized as a certified copy by a lawyer. Kasi di ba you don't need to present passport? Certified photocopy will do. As for the bank statement, not exactly sure if you need to present one if it's a sponsored trip. I guess you'll just have to ask for proof of sponsorship from the company mismo. Thanks Czarina. I got my visa already and I'm scheduled to go to Sydney next week. :) Are you currently in Australia? If I'm not mistaken, you need to wait a few months to a year before you can apply again. But according to Australia's Immigration, you may apply to have the decision reviewed by the Administrative Appeals Tribunal (AAT). Hi Czarina, just wanna ask if need pa ba ng invitation letter from my friend or ok la ba na ilagay ko lan un details nya sa application form ko. medto hesitant kasi sya na magbigay ng invitation e.
Less hassle for both parties if walang invitation. Yes, you may provide her details since one of the questions sa application form is if may friend or relative ka living in Australia. Di naman necessarily kailangan ng invitation unless he/she sponsors your trip. I plan to apply for a tourist visa this july for planned visit to australia on September. I am 28 yrs old currently working as an accountant in a private company for 8 mos, previously I worked as auditor in an auditing firm for 3 years? Do you think the fact that I just transferred work would affect my application. I already got regularized in my new job and able to get a coe from my current employer stating my approved vacation leave dates. I will also submit my bank cert with around 300k php savings, bank statements and credit card statements. I plan to do a diy trip but plan to avail some day trips using viator tours. I also plan to have my mom join me in the trip and shoulder some of her expenses. She’s a housewife and will submit my father’s documents as support. Do you think we have chances of getting approved? Thanks really appreciate you response. According to the documents you have now, I have a feeling that your visa application will be approved. ;) And yes, if you're leaving for September you may submit your application now. Most visas are valid for use within the next 6 months and have 3 months minimum stay. This is good information! I would like to enquire about the self-employed / unemployed part if that's okay. If self-employed but haven't file the ITR...is there a Affidavit of Support form that the Australian Embassy uses? Or your parents have to prepare it by themselves? And also, all the Certify True Copy and Affidavit of Support documents, can it be done by lawyers outside of Philippines (I have family lawyer friends but staying in Malaysia) or it has to be inside of the Philippines? So eventhough let's say I have to show my bank certificate (is there a minimum sufficient fund a day for Australia), I still need to show my parent's bank certificate too? Because I would like to go to Australia to attend a wedding in Perth and maybe go and visit Melbourne before flying back to the Philippines. And what's the earliest I can start applying since the processing time takes a long time! Appreciate your response so I can understand better. 1. is there a Affidavit of Support form that the Australian Embassy uses? Or your parents have to prepare it by themselves? --- None, we prepared our own copy and had it certified by a lawyer. 2. all the Certify True Copy and Affidavit of Support documents, can it be done by lawyers outside of Philippines or it has to be inside of the Philippines? --- I suggest you get your papers done here instead of asking your friends to mail the certified copies from Malaysia to Manila. Less hassle for both parties. 3. let's say I have to show my bank certificate (is there a minimum sufficient fund a day for Australia), I still need to show my parent's bank certificate too? --- No, minimum fund a day. Just present both your and your parents bank certificates. 4. what's the earliest I can start applying since the processing time takes a long time! --- Mine took almost a week to process. Just make sure your papers are complete. I suggest applying 2-3 months before departure date. P.S. If you're attending a wedding, better ask the couple from down under to send you an invitation and use that as additional document to be presented upon application. ;) Goodluck! hi. Do you know how much is the application fee for tourist visa subclass 600 - tourist stream? Does it really cost AUD 335? (this is based from the visa pricing estimator). I hope it just costs AUD 130 just like the other 3 streams under subclass 600. TIA. Good day to you!..hmmm nkpglodge na po ako ng TV application ko xa VFS cebu last july 28 and now when i track the status of my application sa website ng VFS it says that 'no details found in the input values'..ano kaya ibig sabihin nun? Do you think i still need to attach an invitation letter coming from my friend who will support my financial and accomdation for the rest of my stay there? You know tnry ko itrack ulit khpn ang status ng application xa vfs web and it says 'processed application is ready for collecting at avac..kaya lang wala ako nreceive na email frm them and nung tinawagan ko nmn d ko mcontact...do u think andun na ang result xa application ko xa vfs cebu? Hmm, I think so. :) I mean, di naman nila u-update yun na ready na for pick-up unless wala pa sa kanila yung result di ba? Anyway, how much processing fee in Cebu? Same lang ba na Php1,220 (inclusive of handling and shipping)? Oh btw 620 pesos lng nbyaran ko for processing fee.. I got a refusal notice for my visa - apparently made a mistake in the app form eep. I re-applied the very next day and the time between the date i lodged my app and my travel to australia is exactly 15 working days. (less than a month). Do you think they would take that into consideration and provide me with a notice before or at least on the day of my departure? Or will they take more time since I've been refused before? My first app took 15 working days, I got my notice on the 16th day. Fingers crossed I get accepted! I don't know what else I can do to present a stronger case that I will NOT go off marrying a white guy or start working and migrate there. ;-) Thanks. What exactly was the mistake you did in the application form? Sinasabi pala nila if ano ang mali. Anyway, I'm not exactly sure how long you need to wait before sending your application. If I'm not mistaken it takes around 6 months to a year before you can apply again. But please let me know how it goes. Thanks and goodluck! I am quite forlorn (what a word). Due to some unfortunate circumstances, I have never traveled outside the Philippines... And I am 41 years old, single, with no kids. The truth is, I do not have much as well, no personal property, no cars, nothing. I just have a partner and a job. The thing is, my employer wants me to go to AU for a short visit to our Sydney office next month for about 2 days (so that means 3 -4 days on AU soil). I do not know anyone in AU (I wouldn't survive there). I know I have a slim chance of getting a visa (will be submitting mine the coming week). But I am still hoping. But anyway, how long was your visa processed? Hoping to get mine before month's end. My Visitor - Visa application documents are scheduled for pick-up tomorrow, Aug 18, 2014. I also included a letter of support from my brother stating that he will pay for my roundtrip tickest if I get granted a visitor visa, a copy of his passport and seaman's book, and payslips. Will it matter if these documents were only taken with his camera phone and I just printed them since this is the fastest way he could send the copies? Honestly, I have no idea. Personally, I prefer getting legal docs in scanned form but I hope the embassy accepts them. Apart from payslips, you could've added bank certificate as additional proof that your brother can sponsor your trip. I hope you could share with us the process of lodging your application. :) Goodluck! Thanks, Czarina. My brother is currently on board a vessel, that's why. I forgot to mention that my Aunt in Australia will provide for my food and accommodation. I hope all is well with my application and the embassy will be considerate. Favor nmn pls tell me/us the procedures on what to do pdagdating sa airport para may idea na kami...thanks in advance! Congrats with your approved visa application! :) Anyway, upon arrival same procedures lang din naman sila. But I noticed that while I wait for my bags, may mga immigration officers na nag iikot asking questions. SOP lang siguro sa kanila yun. @Miss Maye: how about xa travel insurance? Good day. Nakapag apply ako online (family sponsored stream) at na refused. medyo confusing kasi pag online kasi pag fill out ko nang application form pwede namang piliin ang cousin as one of those who can sponsor, kaso sa requirement pala nang 1149 hindi naman pala pwede ang cousin( 'yon yung reason nang refusal). anyway, ang tanong ko lang kaung pwede akong maka pag lodge nang paper application(ano kaya ang effect nang refusal?considering na hindi pa ako naka pag attach nang kahit anong docs?). Tanon ko lang din paano mag lodge kung kasama ko ang asawa ko? at ang docs (photocopy of passport, marriage cert, etc. na i-sesend nang cousin ko kailnagn din bang notaryado?? SALAMAT nang marami Maye. Apologies for the late reply. I registered online hoping that it's easier to apply. Kaso lang hindi pa ata siya puwede for Philippine residents. Anyway, you need separate application forms for you and hubby. As far as i'm concerned, yung biographical page lang ng passport ang dapat notaryado. :) The rest hindi na. i just want to ask when is the best time to apply for a visa? kasi im planning to apply but my flight is on february 2015 pa to Gold Coast. i noticed that they only give you 6 months validity. is it their minimum grants from the issued date? one more thing, which one is better? to lodge the application or to do it online? thanks sa infos. in your opinion, is it ok to declare na may relatives ka sa australia pero hindi mo naman sila bibisitahin? i mean, kasi sa perth sila and yung trip ko is gold coast-sydney-melbourne. masyado na silang malayo kaya hindi na kaya i visit. makak apekto ba un kapag dineclare mo o hindi? thanks a lot. Hi Ferdinand.. just want to tell you it's very important to declare if you have relatives in Australia even if your not visiting them or not sponsoring you. The reason behind they ask if you have relatives is to assess your application whether your a genuine tourist or not. Immigration officers doesn't expect everybody to visit their relatives when they come to Australia but they expect someone to be honest with their details. Not disclosing important details if caught can lead to 1 to 3 yrs exclusion, banned from applying any Australian visas. Ty. Hi czarina, its nice to know that they give you a multiple entry visa. i also applied yesterday kasi excited lang, and i used online submission, and nagulat ako after a day, approved na. they give me until march 2015 pasok padin for feb. hayst.. salamats..
i just to thak you guys for the advices. it really really helps..
Hey Ferdinand, congrats on your visa! :) Do you mind sharing to us the steps on how you applied online? Please send me an email at mayemariano AT gmail DOT com. I would just like to ask if the 3/6/12 months validity of visa will start on the day you are approved by the embassy or at the very moment you enter Australia? And would you happen to know about multiple entries visa as well? Because my mom and I are planning to go to New Zealand for Christmas & New Year. Our plan is to get Manila-Sydney-Manila flights from CebuPac para cheaper and no direct flights to NZ din kasi. So once in Sydney (maybe we will stay for 5 days) then fly to NZ via Jetstar then return to Sydney again via Jetstar then fly back to Manila via CebuPac. So basically we need to enter Australia twice. Do you think this is doable? Hehe. I can't find much info about multiple entries kasi eh. Hope to hear from you soon! Validity niya as soon as you enter Australia. About multiple entries, I have no idea about it so far coz I'm still waiting for processing of my new visa application (I'm hoping to be given a multiple entry for this one this time around). Regarding your AUS-NZ trip, mukhang very normal naman na most travelers come from Australia before heading to NZ bilang mas mura ang tickets. So yes very doable siya as long as you have a multiple-entry visa. 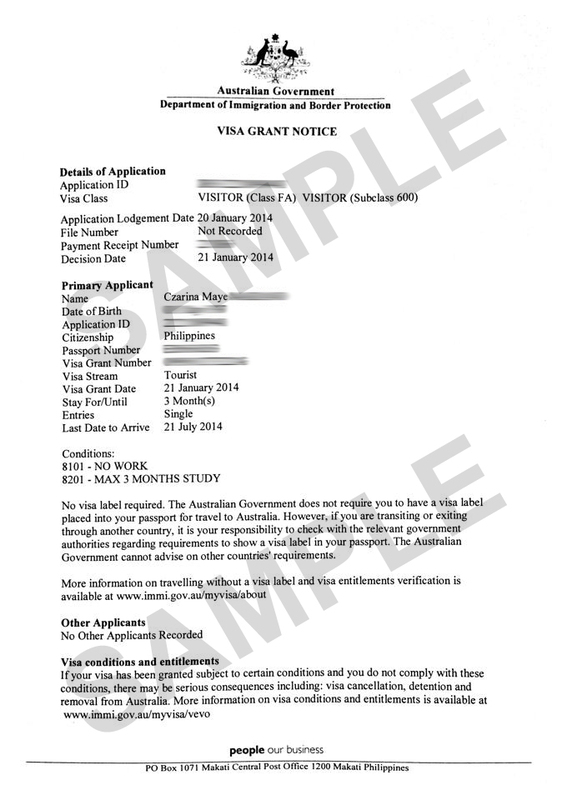 Hi Jamie, I want to give you a bit of info about multiple entry tourist visa in Australia. Are you a Philippine passport holder? if so, it is very unlikely you will get multiple entry tourist visa to Australia, unless you are a family sponsored tourist visa and even some family sponsored doesn't get multiple entry. You mention about planning to visit NZ too, did you have New Zealand tourist visa too? if you have you can visit NZ if you don't have then you need to apply NZ tourist visa as well. .. Australia and New Zealand are two different countries. If you only hold Philippine passport then you dont qualify for Visa-waiver country.. example if u hold British passport then you can visit NZ for period of 3-6mos without visa. if you hold USA passport then you dont need visa for 3 months or less.. Unfortunately Philippines is not included in the list of Visa-waiver country. Australian tourist visa is not also New Zealand Tourist visa and vice versa..
Kaloka..too much angst for oz visa. Is that a sponsored trip by your boyfriend? Not exactly sure how sponsored trip works but I think you need to ask for an affidavit of support from your boyfriend as a proof that he wants you to come there. Sponsorship is only applicable if the applicant itself is a family of an eligible sponsor (ex. parents, nieces, nephews, siblings etc..) Apparently a gf is not considered as family. In your case you can apply for subclass 600 ordinary tourist visa and since you are invited. Your bf needs to write a letter/statement dated and signed by him stating how he met you, why he is inviting you for a holiday, what is his plan if ever you get visa to see him, and he need to state in his letter that he will cover all the cost and expenses while you are in Oz. Also he need to show proof like current bank statement(with money), if he rents a place, then the leased terms, if he owned a home then the Rates Notice(tax he paid for owning a home) can be presented. In Australia there's no such thing as Affidavit of Support. If your bf want to fund your trip what he need to get is a Statutory Declaration signed by the Justice of Peace( promising that he will cover all the cost, accommodation, food, tickets, medical if needed and your other personal needs). Affidavit of support is only applicable if the person funding the trip is a Filipino resident. Lastly, you also need to write your own letter/statement the same as your bf. You need to state how did you met him, and when was the first time you met him personally ex. if he already visit u in Phils,) also you should state what are the places you would like to visit if ever you get granted a Tvisa, and how long you think your gonna stay in Oz, and very importantly explain in your letter how committed you are to return in Philippines before your visa expired, and that you are a genuine tourist and your intention is only visit a friend and purely holiday. Of course you need to prove your claim that you have reason to return in Phils. Example is if you have business( Buiness permit/ITR etc. ), if your a student (proof of registration and Enrollment), if you have property if phils, (certified copy of Land or House and Lot title), if you are employed (certificate of current employment and approved leave from your employer) these are just examples. Be mindful stating a reason to return to Phils because you have family left there, like parents,children, or husband, is not considered by Au Immigration to be guarantee that the person will likely to return before their visa expired. Because Filipinos are known by Australian Immigration as prepared to leave their families to work abroad like OFW(which is fine) but as for the purpose of Tourist visa, a persons intention is being assessed. I am not saying you and others are not genuine, I am just explaining why Australia are very critical to Filipinos and other Asian countries when they applied for visas. This might give you idea how to prepare your application thoroughly and avoid being refused. Being refused entry is not very impressive to your immigration records. Now a days 1st world countries shared infos and details. If you will apply a visa in USA later let say, they will know you have been refused in the past in Australia. It is what it is. Goodluck to ya and I hope you'll get idea from my post and be successful in getting a visa.. Cheers! Ask ko lamg hindi ba sila mahigpit sa customs sa dala mong food ? Tapos pati shoes ba iddeclare? If I'm not mistaken medyo mahigpit sila when it comes to food, naalala ko kasi nung di nila pinadaan yung dala kong hopia noong 2004, hehe. About naman sa shoes, as in may dala ka new shoes na parang pasalubong from Manila? Wala naman siguro problem with that. Ang importante lang is dapat declared lahat. Kasi kahit paglabas mo customs malaki possibility na lapitan ka pa rin ng guards coz napansin ko na nagtatanong talaga sila kahit na inaantay mo na lang bags mo lumabas. Thank you,,ahm ,,binisita na po nya kuh,,,,then may mga photo din kme,as proof,,,then may invatition letter po akuh gling sa knya with his signature,,,,,then ,,he support me financially almost 1 year na po,,,,,,babalik po sha ngayong November ulit to visit me again,,,,,,,,lahat may documents na kuh gling sa knya ,,i have already his divorce paper,,,,,its enough na po b? The document u have from him is fine, however you don't need his divorced paper because your only applying for Tourist visa. Divorced paper is only used if your applying for Partner visas( like PMV, Spouse visa or De Facto visa). It may help in your tourist application if you can also include about 4 photos of you together and photocopy of his visa if he has or entry stamp on his passport( foreigner who visit Philippines had their passport entry stamp at NAIA airport immigration when they arrived in Philippines) The reason why you add this document into your application for tourist visa is to prove to Australian immigration that you and him had already met and you knew him already for a period of time. Now that you have at least most of his(bf) document. Question is what about your documents? Do you have your own letter/statement? Did you have your Bank account statement? are your Employed? Unemployed? Self Employed? or a Student? If you are Unemployed then it's a bit of a big problem to be honest! if you are Self employed( ITR/BUSINESS PERMIT ETC..) if your a student ( Enrollment and registration certificate or letter) if you are employed (Certificate of employment and approved leave). Do you have property in Philippines, like house and lot, or a Land, Unit, townhouse, or a vehicle, (submit certified copy of land title, or vehicle registration, or any legal document proving u owned unit or townhouse). Check DIAC manila websites so you can see their current tourist visa checklist. The list doesn't mean you have to provide all the documents they suggest. Only provide documents that is applicable in your situation. PLEASE BE NOTED that your documents should be much reliable and sufficient rather than your bf documents. Because YOU are the one applying for a Tourist visa and NOT Him. 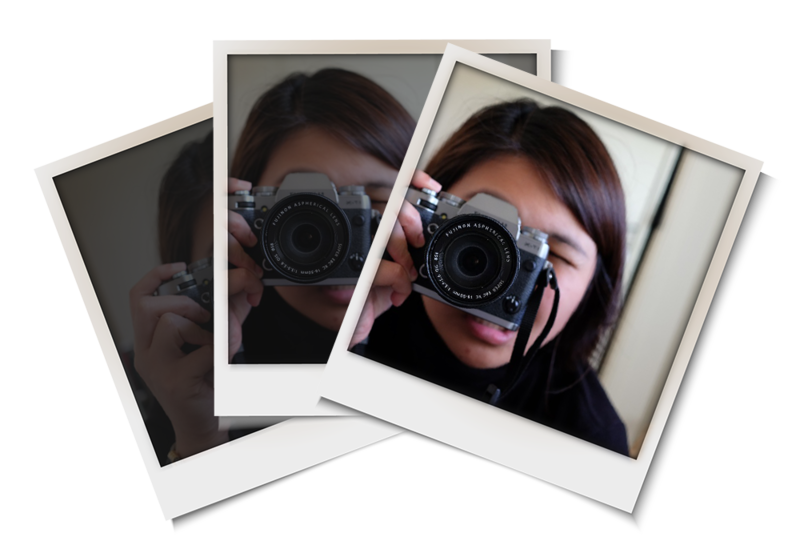 To convinced Au Immigration that you meet the "Genuine Tourist criteria" is probably the hardest part of applying tourist visa from Philippines. Especially if the person doesn't have family in Australia to sponsor him/her. It's very hard to say whether your documents are enough or not as I do not know your real situation and history. Visas are decided based on each person's circumstances/ capacity and meeting the criteria and a little bit of luck!Lol. Some people even says it is a bit of a lottery. Using a Registered Agent is an Option, NOT Mandatory. I think as long as you have the certificate of employment, no need to provide the letter of leave. You may provide your roundtrip tickets as proof that you're going back to the PH. It's impossible immigration will asked your friend divorced paper if she is on tourist visa. Unless she's attempting to marry an Australian inside Australia or either she wasn't telling you the whole truth why someone in Australia would asked her to provide divorced paper. Your bf marital status is none of anyone's business in Australia not even immigration, unless the guy is trying to marry. I agree to the Anonymous posters here that you don't need divorced paper of your bf because your only coming as a tourist. 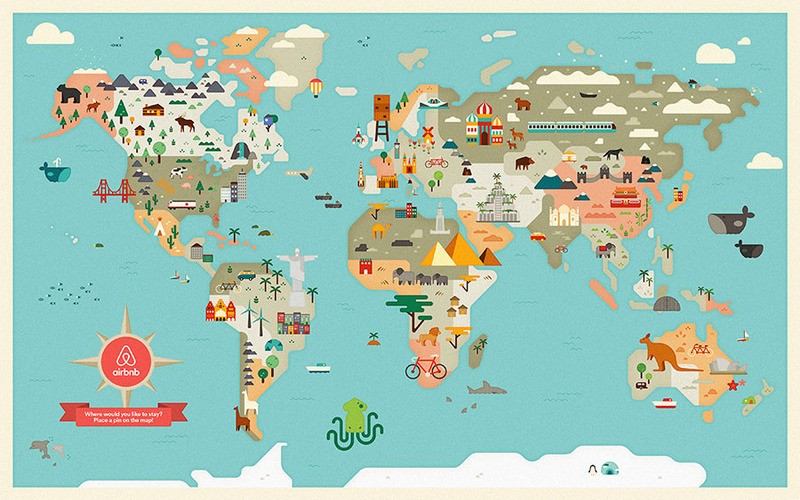 The word itself "Tourist" means your coming for holiday, visiting friend or family. If you get caught at Australian airport by immigration officers and they found out you have documents that you shouldn't have as a tourist, it might put you into a lot of trouble. They will strongly suspect your coming to marry an Australian bf and then apply for onshore residency visa, which immigration really is very displeased this kind of scenario. Because they will think and feel that you used your tourist visa more than what is intended to. Now you might be genuine tourist and not intending to marry inside Australia and that is something you have to explain to them if you get detained for interrogation at the airport, and if they're not satisfy and convinced to your answer they can just simply give you a "Notice of Intention To Cancel your Visa" on the grounds of not being a genuine tourist and you will be returned to the Philippines on the next available flight. if you don't believed me watch this videos of Filipinos held at Australian airport. I am not saying your not genuine tourist, but it's awful to think that some Filipinos especially first time traveler doesn't have a clue what they're trying to do and how it would affect them. Australia is a liberal country, someone civil status is not a big deal. a married man can just simply leave his wife and live with some other woman without getting divorced, its Allowed. It is not like in Philippines that you'll be charged with adultery, or whatever. But that's beside the point, the point here is immigration might suspect your going to marry your bf and then apply for residency onshore.. Think about this " If you go to Boracay with your bf or friends for a holiday. Would you bring your bf divorced paper?? Does it make sense to you? really?? Is it OK to type in the details in the form 1419 rather than write it? I can then print and sign the document afterwards. Has anyone used this method? Also, I'm travelling with my family and wanted to know if I have my document picked up at the office. Will they be in one envelope or separate? and how will they be processed? If so do they need to have a certified copy of my bank statement? Thanks! Yes, it is ok to type in the details. And yes it is ok to request for pickup at the office, just not sure if its ok to place all application in one envelope (since you're applying with the whole fam) or separately. Call the VFS hotline for instructions. Minimum processing takes about a month and yes you also need to provide copy of bank certs or statement. Hello Czarina. Any news with your visa application? This is my second one. The first time I lodged mine it only took them a day to grant me a visa. That was last December. Now, it's been almost a month and I haven't got it yet. I lodged it last Aug. 12. Hope to hear from you soon. Thanks. I submitted my application last Aug 15, 2014 and I haven't received mine as well. :( Update us if ever you get the results ha. Last time my co called me the following day after she got my application. Did you get a call already? And did your co called you last time you lodged your application? Thanks. Yes I'll definitely update you. Goodluck. So frustrating to wait. Have you received any email or text informing you that they have your papers already? Last time I got a text and an email. Now, no nothing. But I'm still tracking it from time to time. Yes indeed. :) so let's just hope and pray. ;) thanks. I answered yes and gave them details why I wanted to come back. My reason was to take a short course on digital media and provided them details of the school, etc. Anyway, how was your application? :) Any updates? Yes, no need for the red ribbon thingamajig. Only the passport profile page/copy needs to be notarized. Hi Maye! Just started my business last Sept 2nd, do I still need to submit my ITR for my travel visa application? I'm planning to apply in October. Thanks a lot! Hi czarina. I got a call last Thursday. My co asked for additional docs. How's yours going? Do you have a sponsor in Australia? Thanks. To be honest, mas prefer ko mag apply on my own kesa sa mga travel agencies bilang mas makakamura ako if ako na lang mismo gagawa kesa magbayad pa ng service fee sa iba. Anyway, regarding your concern, medyo nalilito ako. If your parents plan to stay and work in Australia, hindi ba dapat working visa ang i-apply nila? hi, we've also applied for tourist visa for my mother-in-law for 6 months. Application was received by embassy last aug8 but until now they have not given the results yet. did they require you for a medical since you'll be staying for more than 3 months? Was there any change in the visa approval? Because my mother and sister got their visa approval only after a week of their application. just wandering why the approval now is longer. any idea? Nope, hindi naman ako hiningan ng medical certificate coz my reason for the application was I plan to study/take a short course lang for 3 months. In regards naman sa approval, usually 1 month talaga minimum waiting time. Baka kasi nung time na nag-apply ako medyo maraming kasabay kaya matagal din na-process. 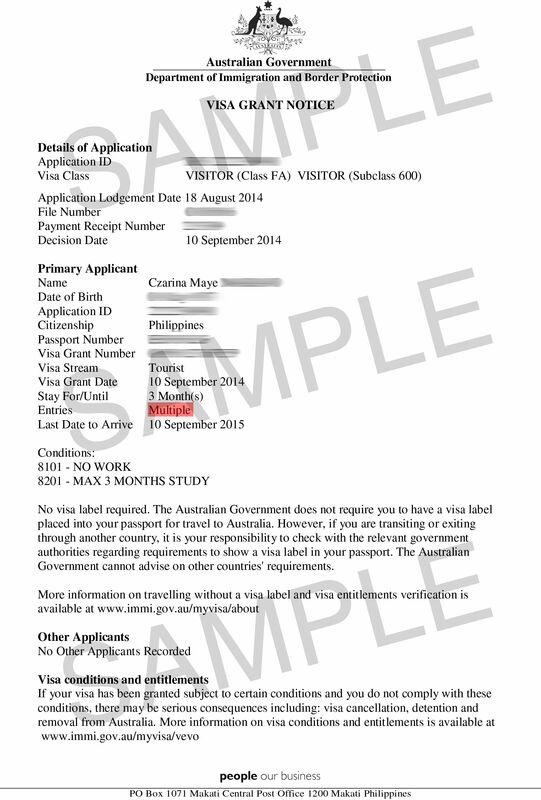 Form 1418 ay visitor/tourist visa for those with sponsors na based in Australia. 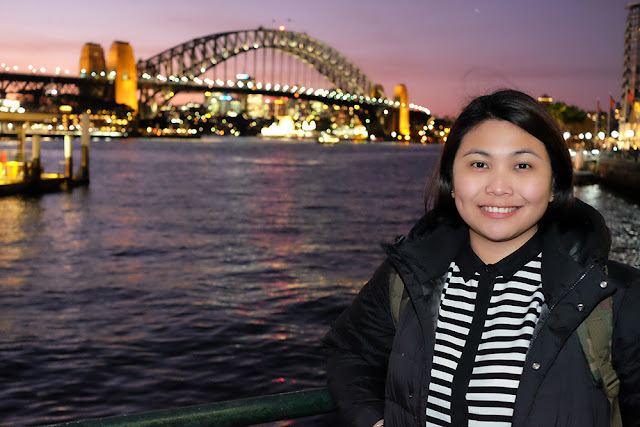 Form 1419 ay tourist visa for those who can afford to go to Australia on their own na walang tulong kahit na may kamag-anak ka pa or friends living down under.